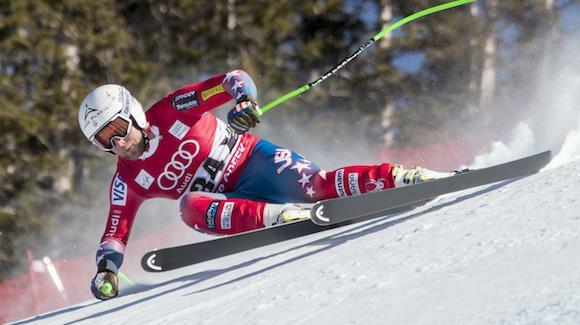 The top American finisher in Friday’s Birds of Prey World Cup downhill at Beaver Creek, which was won by Norwegian Aksel Lund Svindal, was Andrew “Warhorse” Weibrecht, who tied for fifth. That bodes well for Weibrecht in Saturday’s super-G since that’s arguably his best discipline — having twice won Olympic medals in the event (bronze at Vancouver in 2010 and silver at Sochi in 2014). Two other Americans, Travis Ganong (12th) and Steve Nyman (15th), cracked the top 15. Even though he’s never even been on a podium in the World Cup, Weibrecht has great history at Beaver Creek, where he vaulted from a start position in the 50’s to claim 10th in a downhill in 2008.